Ariana Grande brain scans show enormous impact of PTSD. 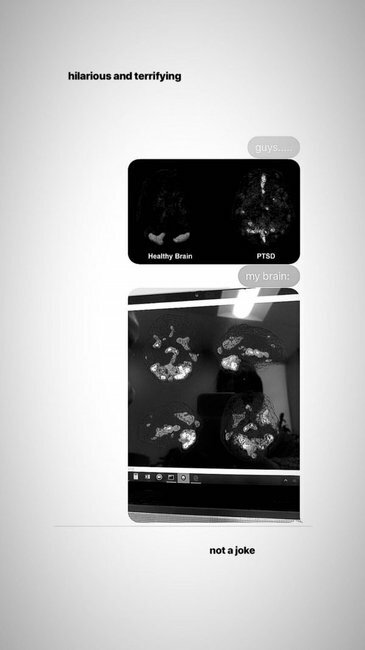 Ariana Grande has shared her personal brain scans that show the physical impact of PTSD. 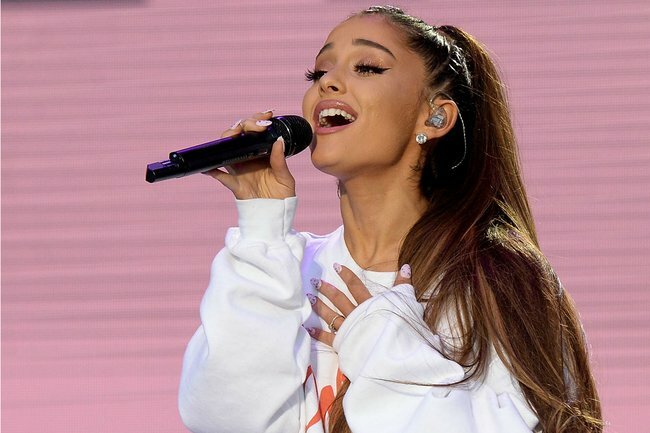 Ariana Grande has revealed the real impact she has suffered from Post Traumatic Stress-Disorder (PTSD), by sharing a recent scan that shows how her brain has been affected by the mental illness. The one labelled as “healthy” remains relatively dark, whereas the one with PTSD has a number of sections highlighted. 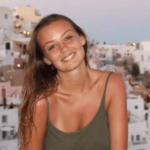 She then shared a photo of her own brain scan, which similarly had several sections highlighted, demonstrating the impact trauma has had on her. “Hilarious and terrifying” she said alongside the scan, adding that PTSD is “not a joke”. The singer shared the impact PTSD can have on your brain with her fans on Instagram. Image: Instagram/ArianaGrande. The &apos;thank u, next&apos; singer has spoken previously about how she deals with her symptoms of trauma as a result of the terrorist attack at one of her concerts in Manchester in May 2017, when a suicide bomber detonated an explosive device and killed 22 people. She has shared candid details about her mental health struggles, and said that therapy has saved her life "so many times". Last year, Grande spoke to British Vogue, saying "It&apos;s hard to talk about because so many people have suffered such severe, tremendous loss. But, yeah, it&apos;s a real thing." "I know those families and my fans, and everyone there experienced a tremendous amount of it as well. Time is the biggest thing." She continued: "I feel like I shouldn&apos;t even be talking about my own experience – like I shouldn&apos;t even say anything. I don&apos;t think I&apos;ll ever know how to talk about it and not cry."